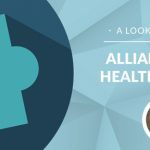 On the 10th and final day of our year in review, Health Forward President/CEO Steve Roling sends us out of 2012 with an approach to health care that won’t break the budget. With recent discussions surrounding the fiscal cliff in Washington D.C. and how to reduce health related expenses in Jefferson City, Mo. and Topeka, Kan., I offer an approach that saves money, improves health outcomes and is guaranteed to work. According to former Surgeon General David Satcher, our nation spends 95 percent of all health dollars on the treatment of illness and only about 5 percent on the prevention of illness. That’s a big reason why our health care costs are so high. We wait until someone is sick before we intervene—especially for the poor. What if we spent more money up front in preventing illness? Logic and scientific projections tell us we would both save money and improve health outcomes. Let me be more specific about issues related to the two leading preventable causes of death and disease: obesity and smoking. In 1990, 10 percent of Missouri’s population was obese. In 2011, that figure jumped to more than 30 percent. Based upon this trend and scientific projections by the CDC, in 2030, over 60 percent of Missourians will be obese. The prognosis for Kansas isn’t any better. In 1995, the obesity rate was 13.5 percent and is currently nearing 30 percent. The projection for the year 2030 is around 62 percent. What does this mean? It means that the costs for dealing with health-related problems caused by obesity will increase dramatically. With proper exercise and nutrition we can eliminate the impact of the obesity epidemic by saving money and improving health outcomes. We are talking about saving billions of dollars annually in Missouri alone. We are talking about reducing Type 2 diabetes, hypertension, arthritis, obesity-related cancers and other diseases. This kind of intervention does not require government budget cuts. It requires personal responsibility, and common sense by policy makers to fund prevention activities. An alarming 22 percent of Kansans and 21 percent of Missourians smoke. The CDC has proved that smoking is the root cause for all kinds of cancers and other horrible diseases. The annual health care cost directly caused by smoking in Missouri is $2.13 billion, and $927 million in Kansas. To make matters worse, non-smokers must pay higher premiums ($565 annually) to cover public expenditures of smokers with chronic health conditions. If people smoke less or quit all together, we save billions of dollars on health care and enjoy improved health outcomes. Again, no budget cuts are required to obtain this positive outcome, but it will require funding tobacco prevention and cessation programs, and increasing cigarette taxes. As we enter a new year, I ask you to imagine a society with access to healthy foods, opportunities for active living and reduced tobacco use. Can you imagine how our health would improve? Can you imagine the billions of dollars saved in health care costs? We can do it if we focus on prevention.